Measuring systems from GOM are used in stamping, bending, drawing, pressing, and forming process chains to guarantee consistent quality assurance: from determining the sheet metal properties, via accelerating tool try-out and first article inspection, up to series accompanying production control and assembly analysis. From January to April 2017, over 1,000 experts from the fields of development, quality assurance and production took part in the GOM workshop series. In Asia, Europe and America, 35 companies shared their experiences with 3D metrology. For design and simulation, GOM systems provide precise material properties by determining the forming limit curve (FLC). During try-out, sheet metal parts are checked for shape and dimensional accuracy as well as for material defects: part geometry, springback, trimming, hole patterns, material thickness, and forming limit analysis. For the series-accompanying quality control, all measurement and inspection processes are automated. 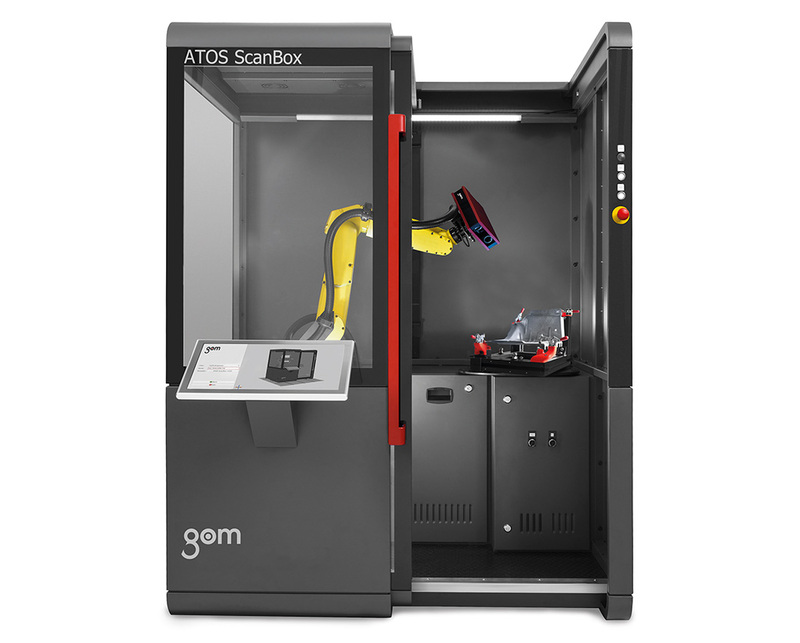 The ATOS series of industrial optical 3D scanners provide accurate scans with detailed resolution at high speeds. ATOS delivers three-dimensional measurement data and analysis for industrial components such as sheet metal parts, tools and dies, turbine blades, prototypes, injection molded parts, castings, and more. ARAMIS is a non-contact and material-independent measuring system based on digital image correlation. It offers a stable solution for full-field and point-based analyses of test objects of just a few millimeters up to structural components of several meters in size. The optimization of sheet metal forming processes, considering the right material choice and tool optimization, is a decisive factor for competitiveness, particularly in the automotive industry. The optical 3D forming analysis system ARGUS supports such optimization processes.